Military court criticizes army figures who jumped to judgement before end of investigation, says it caused harm. On Mar. 24 of last year, a video was circulated of the soldier Elor Azariya shooting and killing a bound Palestinian terrorist who had just perpetrated an attack that morning. Within hours, before any investigation of the incident had been made, then-Defense Minister Moshe Yaalon made the following statement: "[This incident] is very grave and is absolutely opposed to the values of the IDF and its warfare ethos. We must not allow, even when our blood is boiling, such loss of control. This incident will be treated with the utmost severity. It is our moral obligation to preserve the human image." "Such remarks have a broad impact on public opinion and on the public trust in the judicial authorities. Respect for the principle of separation of powers requires restraint and great caution in remarks made regarding issues being dealt with in court, and the violation of this obligation is liable to cause great harm to the principles on which Israel's democracy is founded. "It is clear, as such, that terming [Azariya's] action as such that oppose IDF values before the termination of the investigation were liable to harm him. We felt that this matter justifies some consideration in the determination of the sentence…"
The family of Elor Azariya was quick to protest Yaalon's remarks on the day of the shooting and afterwards, saying that he was "waging a campaign to convict our son, at our son's expense." Minister Naftali Bennett, head of the Jewish Home party, at the time criticized Yaalon, as well as some similar but weaker remarks made by Prime Minister Netanyahu that he later toned down, making a point of phoning the soldier's family: "The political leadership, including Netanyahu and Yaalon, all jumped to convict the soldier even before the IDF investigation began. It cannot be that a B'Tzelem video clip, which brought only part of the picture, causes everyone to dance only to its tune." On the other hand, MK Benny Begin (Likud) defended Yaalon at the time, saying – in clear contrast with the military court – that Yaalon had done the public a great service: "The citizens should hear clearly the limits of the use of power. Moshe Yaalon is one of the important leaders of Israel and of the Likud… Harming him is like harming the Likud." 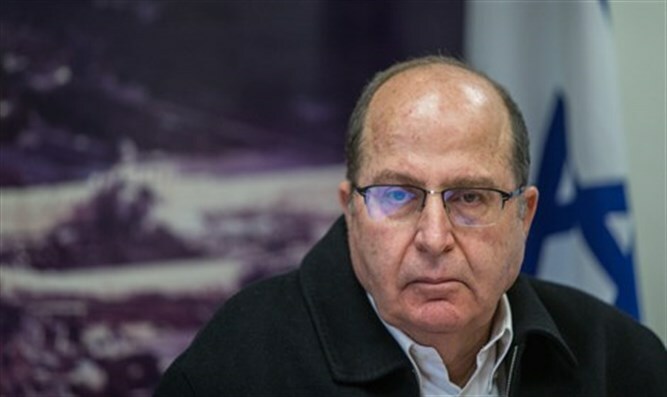 Yaalon responded this afternoon to the judges' words, apportioning blame - as he has done ever since he was fired several months ago - equally to Prime Minister Netanyahu. He said, "The Prime Minister, the Chief of Staff and I all knew right away after the initial investigation that this was an irregular incident. Therefore we jointly decided and issued a joint statement several hours after it, in order to prevent a flare-up in the field." He did not explain what flare-up he expected or prevented. In any event, the news reports of that day attribute Yaalon's remarks solely to him, and not to any other public figure.